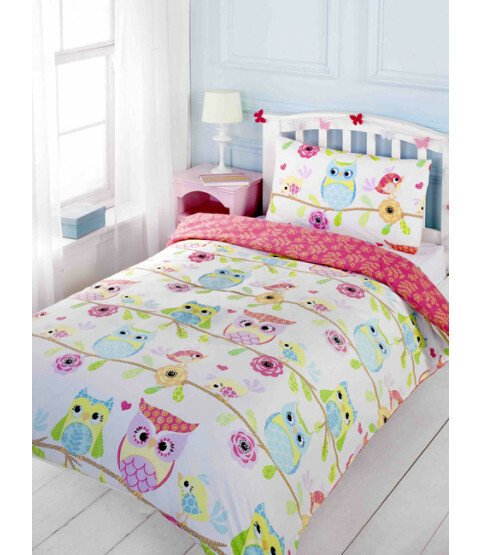 This Owl and Friends Junior Duvet Cover and Pillowcase Set is perfect for little girls. 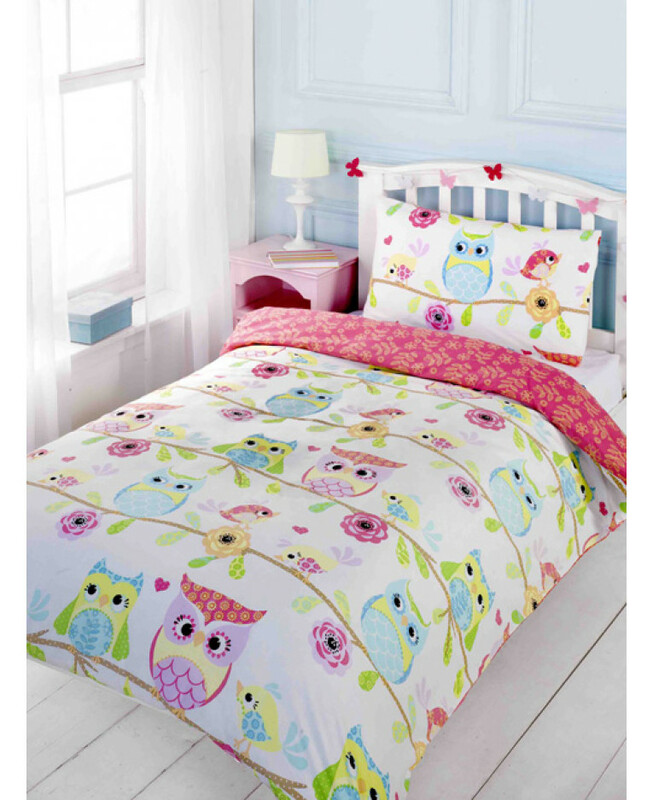 The colourful design features a collection of cute patchwork owls and birds perching on flower filled branches, with a pretty floral pattern in pink and yellow on the reverse. This item is suitable for machine washing and tumble drying on a low setting.